Our panelist discussion moderators are powerful women of color activists working with women of color against systemic racism. They are leading a chant, ‘no justice no peace, no racist police’ and everyone is chanting along. This is power. This is movement. This is beauty. Aretha is one of the moderators; she is a student at UW Bothell and a strong outspoken ally who I have met at Black Lives Matter marches. Her words have always been uplifting and her actions have always been about strength. 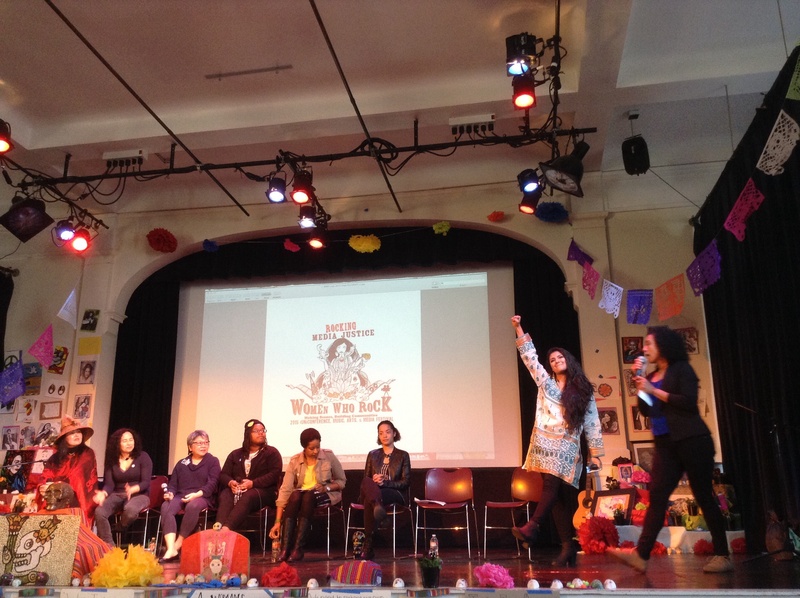 Seeing the papel picado and flores de papel surround the panelists creates an environment of safety and celebration. We are all celebrating our truths and the fact that we are all here together, sharing our experiences. Encouraging each other to change the world.